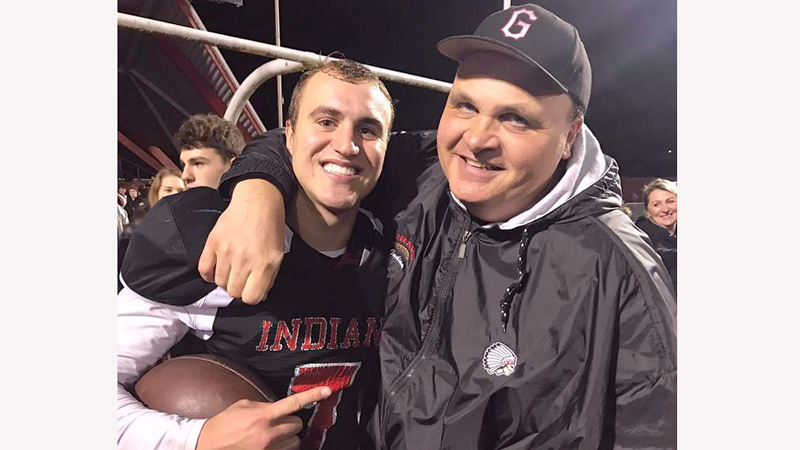 Girard football coach Pat Pearson has found a way to keep the Indians from looking too far into the distance and play each game for the right to come back for one more Monday as a group. Now the Indians have run out of Mondays to play for in reaching the Division IV state championship game, so Pearson was forced to change his message to the team as it prepares for one last battle. Girard (13-1) will go to war with Wyoming (14-0) at Tom Benson Hall of Fame Stadium in Canton on Saturday at 8 p.m.
Pearson’s message to the team has been so well-received, he believes the Indians would be all too happy to come back with another Monday together as the prize given the option of that or the trophy that awaits. “We weren’t chasing rings or banners when this all started,” Pearson said. Wyoming’s main threat will be quarterback Evan Prater, who has passed for more than 1,500 yards and run for nearly 2,000 more. “It will be a heck of a challenge,” Pearson said. Quarterback Mark Waid might be the first Indian to fire an arrow, but there’s a pride behind him waiting for their chance to play the hero. “Mark Waid drives the train,” Pearson said. Pearson has been telling the Indians for half of their season they’d either be state champions, or they’d get beaten. Turns out, he couldn’t have been more right. “To be honest, I’d said that in Week 7 to take out the fear and nervousness,” Pearson said. October 4, 2014 12:05 a.m.
November 9, 2018 12:10 a.m.